With hundreds of merchant ship shots taken over the years, this section shows only a small number of examples from my collection. 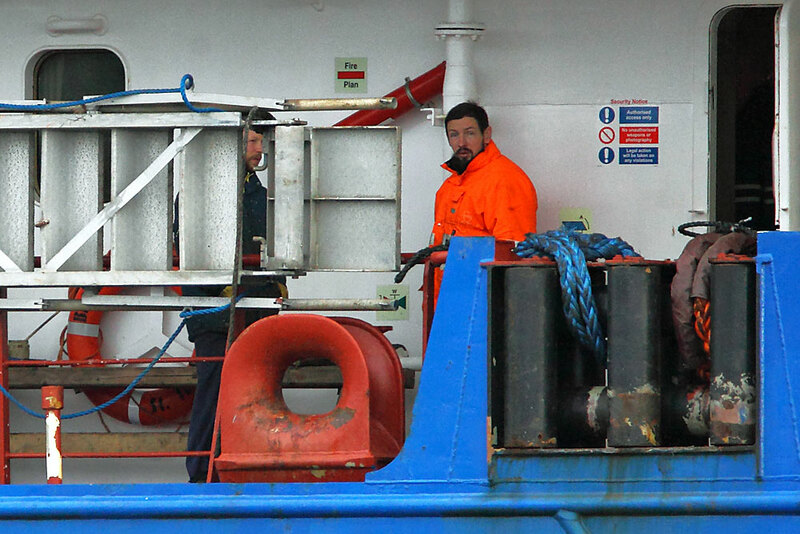 I now intend to cover individual vessels with their own entries as they appear with the most recent first. Meantime, I intend to work back and add a few images from previous years when time permits. 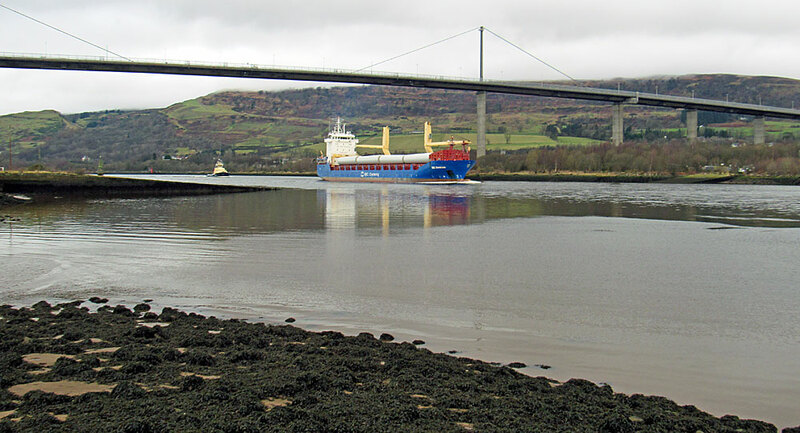 Bulk Carriers and Containerships are listed separately. 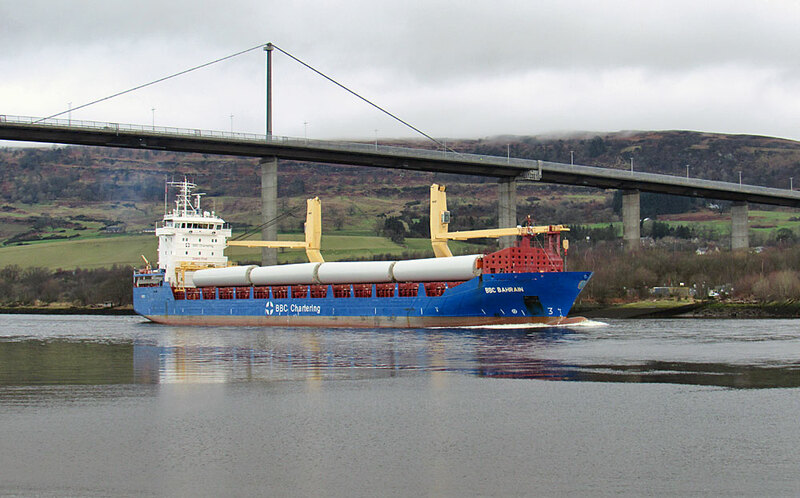 ​Sunday 19 February 2017: BBC Chartering`s BBC Bahrain sailed past Erskine harbour Just before midday with a deck full of wind turbine components from Campbeltown. 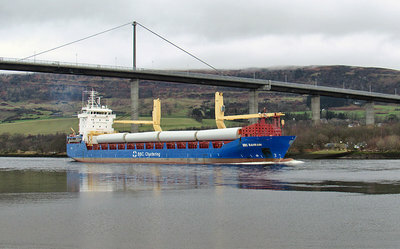 Around the same time, management at the CS Wind factory on the Kintyre peninsula which makes the parts informed workers that up to 60 jobs could be lost due to lack of orders. That equates to more than a third of the 150-strong workforce and would be a major blow to the area. The South Korean company had taken over the site on the former RAF Machrihanish airbase less than a year ago and promised to create new jobs. 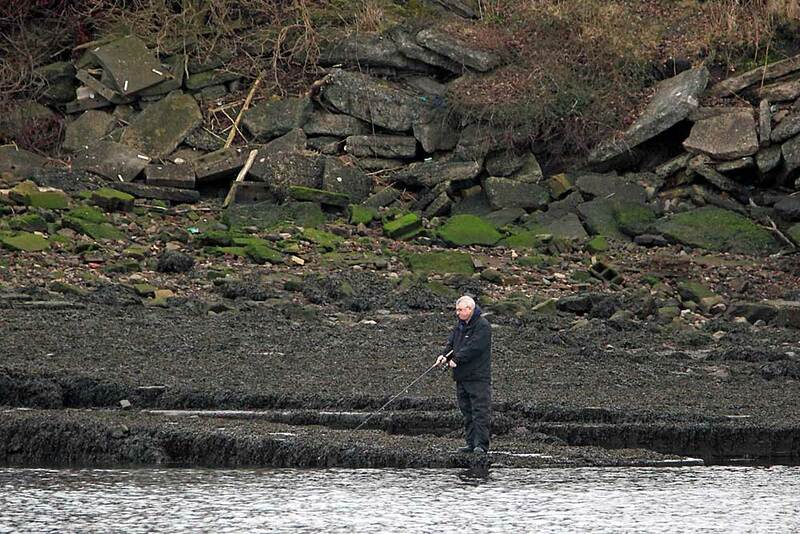 ​It`s unclear whether the construction of a new factory to build offshore wind power equipment would still go ahead. 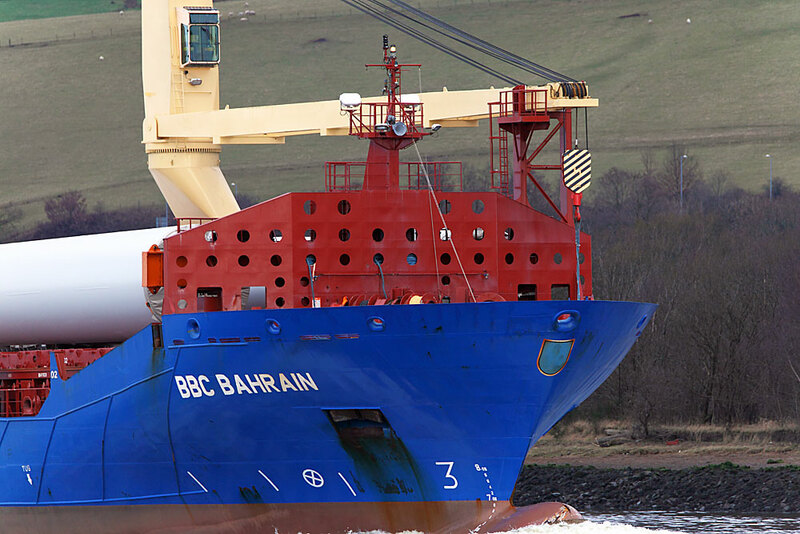 BBC Bahrain was constructed in 2012 by Shandon Baibuting Shipbuilding at Rongcheng, China, and is currently owned and managed by a German company although she sails under the flag of Antigua & Barbuda. 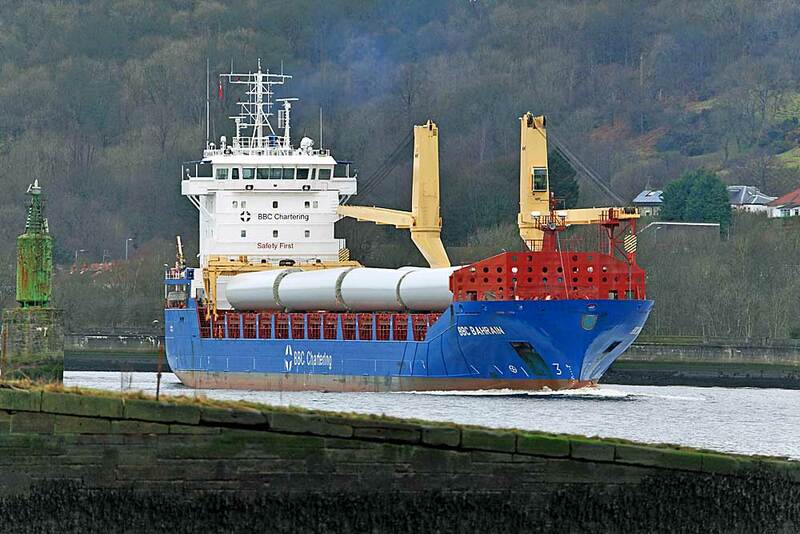 ​The 128 metre-long vessel departed the Clyde mid-afternoon on a murky Tuesday 21 February bound for Fenit, a port situated on the north side of Tralee Bay in southwest Ireland. 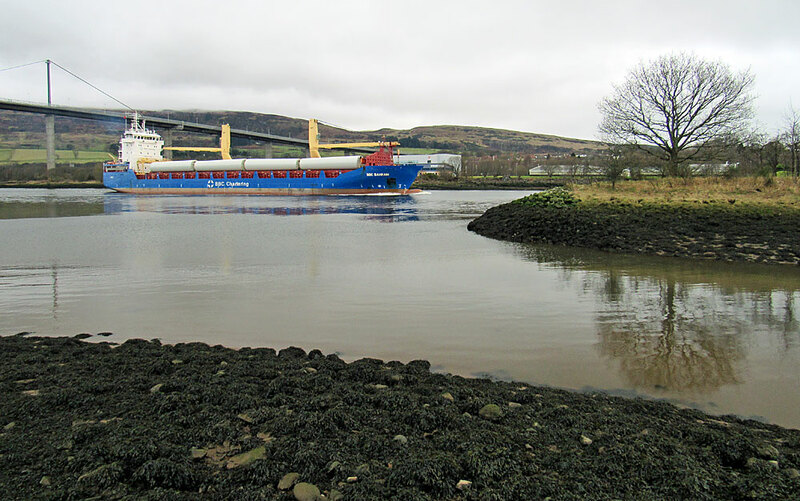 ​Although several cargo vessels had called at the Glasgow docks since the turn of the year, Fri Porsgrunn, heading upriver on Wednesday 11 January 2017, was the first one I managed to catch on camera. 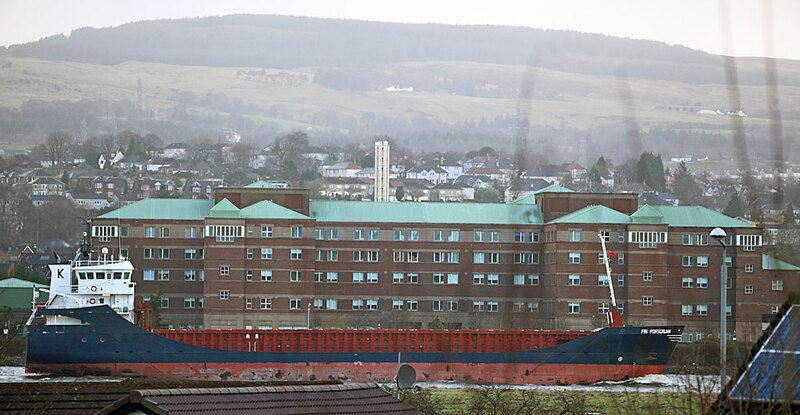 The coaster had arrived light from Belfast and is seen here passing the Golden Jubilee Hospital at Dalmuir on her way to Diesel Wharf to uplift scrap metal. 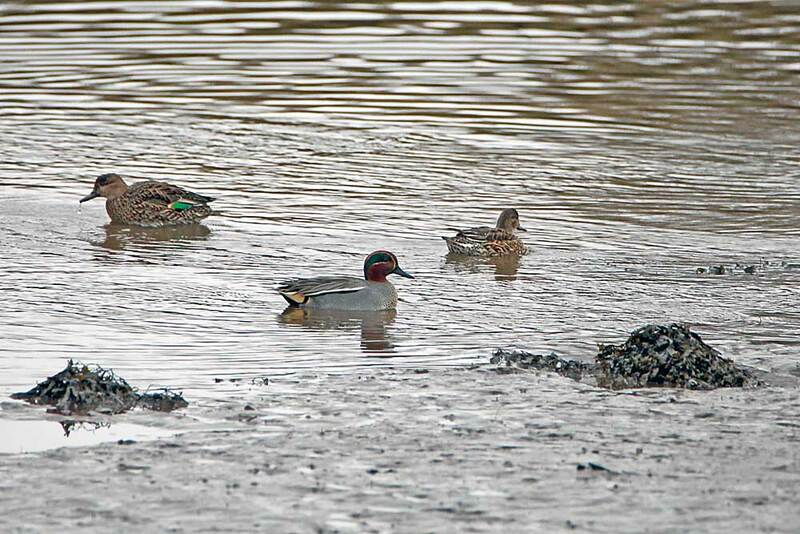 The weather was abysmal so I settled for this poor quality `record shot`from the house. A product of Peters Shipyard, Kampen, Netherlands, she was built in 2000 and initially named Polar Sea. In March 2004, this was changed to Bremer Reeder with her latest identity being allocated in August 2010. Owned and managed by Norwegian companies, she currently flies the flag of Gibraltar.